Throbbing Gristle, a photo by greg C photography™ on Flickr. 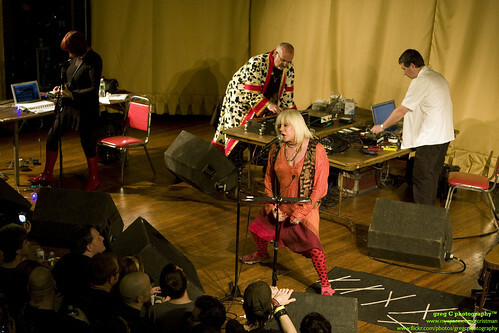 Brainwashed has published one of greg C's Throbbing Gristle photos from April 28, 2009 at Brooklyn Masonic Temple, NY. The photo accompanies an interview by John Kealy with Throbbing Gristle members Chris Carter and Cosey Fanni Tutti.